Here are some ways to help you make sure you don't waste too much gold when looking for wildlife. If you return sprinkles, you can try to do it when wildlife is likely to be due as well. Timings on food plates are QUITE random - sometimes wildlife arrives on the same platter just an hour after the previous one was spotted. But, in general, the longer it is from the time previous wildlife was spotted, the more likely something will be there waiting to be spotted. It is not guaranteed though, just a bit more likely! Common and average wildlife timings. Rarer wildlife timings (especially wildlife which does not stay in the garden for more than 15 min). If you find a quiet garden and think something is due, you might want to stick around and see if you can get it, but you don't need to water very often for some wildlife. If you are hunting for endangered critters, they will only stay for 2 minutes in some cases, so you need to water that often. it won't get missed and you won't waste much gold! Always check for how long the wildlife you want to find stays in the garden and adjust your watering according to that. If you find wildlife and a garden has two plates, check the second one. Is it likely that wildlife is due on it as well? If it is, water a second time and try to get the second wildlife. You should never water all plants in the garden at once for a couple of reasons- but mainly because you will go broke! You can go bankrupt if you just go "click crazy" ~ now that you can water every single second, try to watch the newsfeed to see the last time a garden was watered before you sprinkle. If wildlife is in the garden, you WILL find it with first watering. If not, it's not likely to come just seconds after you watered unless its a rare wildlife (or hummingbird). Sometimes you need to find a specific wildlife to move forward with the game, with the Mythological wildlife to plant the next mushroom, the caterpillars to continue the butterfly quest, the Endangered or Rainforest to plant the next plants. only be looking for one to color in a picture in the wildlife guide! There are a few ways to find gardens attracting wildlife you are looking for. Take a look at your friends and favorite gardens - they might be attracting that wildlife. Visit the ALFFLOVE hunting lists that are updated each week. You can also try the Fairyland Forums, although that can be a bit harder. Enter the wildlife name into "search" on the "All Gardens" tab in Fairyland. You might find a few gardens. Visit the wildlife page for that particular wildlife and look for advertised gardens (try going back a few pages for quieter gardens). Keep an eye out when you are visiting gardens/returning sprinkles. You might find the right gardens as well! So, you followed the advice above and found a garden? First, make sure they are really attracting the wildlife. Are the specific plants there, and are they at the correct stages of growth for attracting that wildlife? Are there any plants which might deter that wildlife? Is the correct food out? It might help to look at food platters. If previous wildlife attracted were the ones you were looking for, it's likely they will come again. 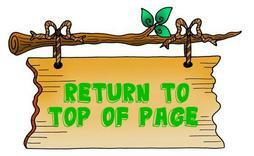 Our Attract and Deter by Plant page is great to look things up quick - its a lot to know!! You might also want to consider how busy the garden is. The quieter the garden, the more likely you will get wildlife you are looking for without much competition from other players. Visit the gardens you've added to your favorites often, and water when the plates are due. You should find wildlife you are looking for very soon! If you notice the garden is no longer attracting that particular wildlife, you can always remove it from your favorites to make room for new ones you come across.